Who said a wireless charging pad has to look good? The $30 RaVPower Alpha Series Fast Charge Wireless Charging Pad is a small, black, puck-shaped device, made of plastic, and sporting a rubber ring around its top surface. That rubber helps keep your smartphone in place while charging, so an accidental bump of your nightstand or vibration from incoming alerts doesn’t cause it to fall off. Note: This review is part of our roundup of wireless charging pads. Go there for details on competing products and our testing methods for both Android phones and iPhones. The Qi-compliant pad is capable of 7.5W speeds for iPhones, and up to 10W speeds for Android devices. Included in the box are the pad, a USB Type-A to microUSB cable, and a 24W wall adapter that’s Quick Charge 3.0 compatible. That means, if wireless charging is going too slow for your liking, just use the included power adapter to charge your phone the old-fashioned way. Using our standard testing procedures, I spent the last couple of weeks testing RavPower’s pad and comparing the results to those of previously tested chargers. With an iPhone XS, the Alpha Series pad averaged a 40 percent charge in 60 minutes of use. That makes it the third-fastest, behind only the iON Wireless Stand and the Nimble Stand which reached 44 and 45 percent charge, respectively, in an hour. As for its Android performance, the Alpha Series pad didn’t perform quite as well with our Galaxy S9 test phone. In fact, with an average time of 4 hours and 3 minutes to completely charge the Galaxy S9, it was the second-slowest wireless pad we’ve tested, despite the company’s claim that it supports up to 10W wireless charging. In some aspects, the slow charge time with the Galaxy S9 is disappointing, but knowing that I can just plug in the phone and quickly charge it when I’m in a rush—something most wireless chargers don’t offer—is consoling. Not entirely, but it doesn’t hurt. 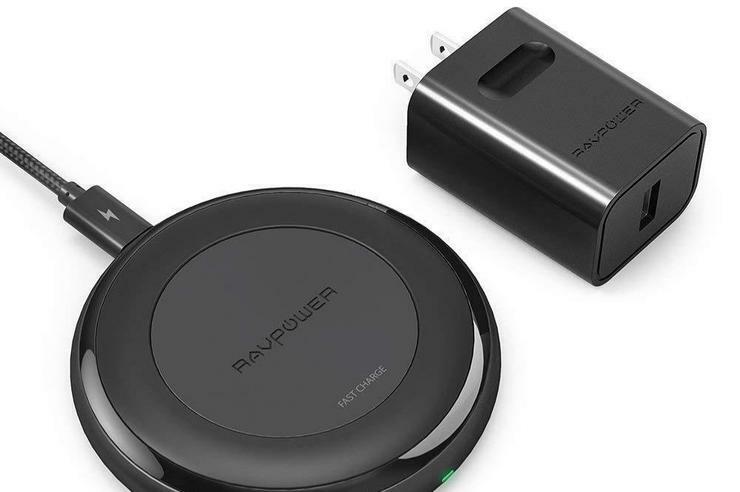 Bottom line: This particular RAVPower wireless charging pad is a plain, black, hockey puck, but it gets the job done and comes with a 24W wall adapter at an affordable price.